Maine has two official flags and the first and almost exclusively still-used flag features the state seal of 1820 that features the White Pine state tree with an indigenous mouse beneath it on a shield. On either side of the shield are a farmer and a sailor, depicting Maine's agricultural and maritime bases. The North Star indicates that Maine was the northernmost state when it joined the Union. The second flag adopted in 1901 is rarely used and this flag shows a pine tree in the center of a buff background, with the North Star in blue within the canton. 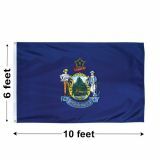 Tuff Flags has Maine State Flags in a variety of sizes and fabrics. 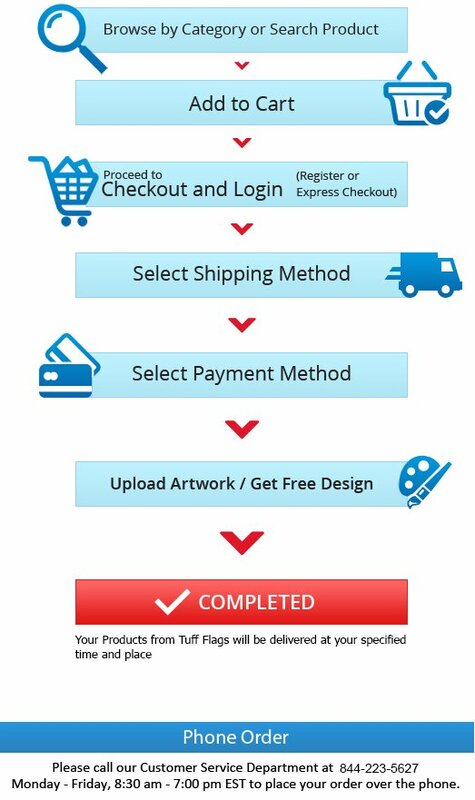 All our flags that are 100% made in USA carry 6 months guarantee on construction. Our nylon outdoor Maine flags that are durable and lightweight are perfect for low wind areas as these will wave gracefully even in slightest breeze whereas the tough polyester outdoor flags make a better choice for heavy wind conditions and extreme weather.Shop from our complete line of Maine Flags right away and avail the best prices, quick shipping and much more! 100% customer satisfaction guaranteed! Maine state flags are available in various popular sizes of 3’x5’,4’x6’, 5’x8’ 6’x10’ and 8’ x12’ to cater to all types of flag presentation and mounting needs. Choose from the versatile nylon indoor flags with gold fringe or the plain models to create a perfect flag display at home, office, church or in parades. These flags will make a thoughtful yet inexpensive keepsake to share with others and a classic token of expression of the culture and heritage of Maine. Our exquisite indoor flagpole kit makes a smart option to set up a spectacular flag display in no time. 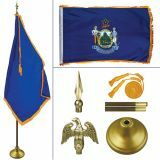 This complete flag set comes with everything you may ever need including ornaments, tassels, flags and poles to impress your audience and to show your state pride. Our Maine outdoor flags that are made to last long and look great will make great daily use flags. 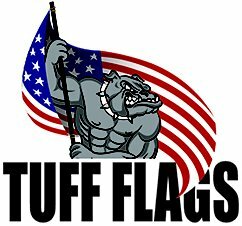 No matter what your flag flying needs are, we at Tuff flags have something special for everyone. Browse our selection of Maine Flags to choose a model that matches your flag presentation needs. Not sure which flag will be the best choice for you?Call us at our toll free number (888) 287-3524 or email us at customercare@tuffflags.com.